Vector purple cartoon tropical fish banner. 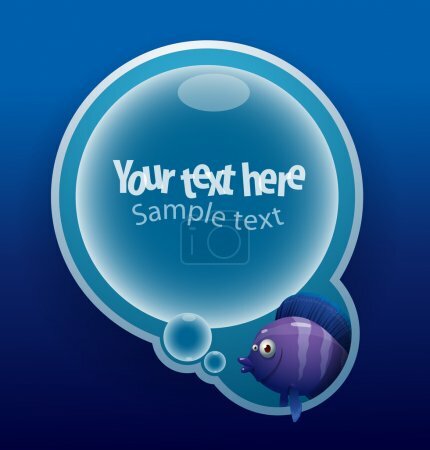 Image of a banner in the form of a large air bubble with a purple cartoon tropical fish on a blue background. The text is written in the curves.